Barbecue or Grilling way of cooking is the most widely observed method of cooking among Filipinos. May it be on Restaurants or in streets, barbecue is loved by Filipinos, and Cebuanos also do. The Original AA BBQ in Cebu grilling for more than a decade now and still counting serving the Cebuanos with good quality barbecues. They cooked for according to your preference, chicken and pork barbecues like thigh, leg, liver, gizzard, Cebu Chorizo and hotdog. Seafoods are best sellers too, fish, clams, shrimps, prawns and squids. The Original AA BBQ in Lahug Cebu is also offering other dishes other than grilled foods. One of AA BBQ best seller barbecue is their Cebuano Chorizo which comes in regular flavor and Spicy. 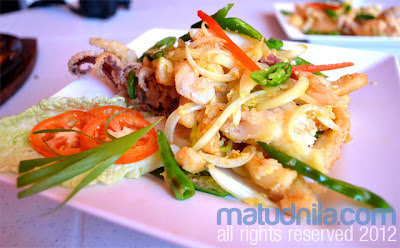 AA BBQ's Crispy Hot Squid is also showcase to Uniliver Food Solutions Sooo Pino Food Trip delegates on its second day in Cebu. Crispy Hot Squid is made of squid cuts, dipped with batter and fried, the sliced chili also adds its flavour. 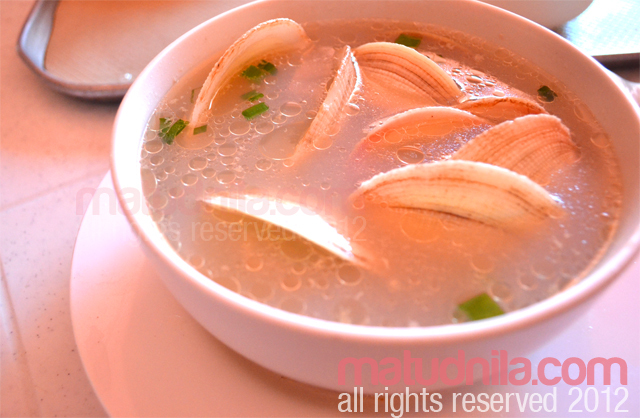 AA BBQ's Imbao Soup is just so good for me paired with the rest of the grilled dishes in the table. AA BBQ prepared their signature Fruit Twister to quenched our thirst with mixes of mango puree, lemon, orange, and watermelon. UFS Sooo Pinoy Food Tour aims to impart to Filipinos about the most popular Filipino national and regional dishes, to know more about the campaign, like the Sooo Pinoy page on Facebook or follow @SoooPinoy on Twitter. 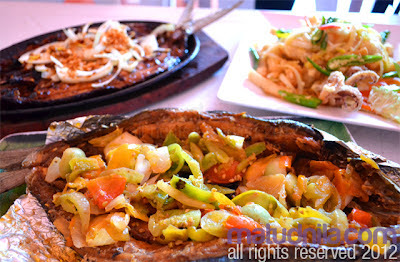 0 comments: on "Sooo Pinoy Food Trip Cebu: Original AA BBQ Cebu Seafood Grills"